esse, Gao Yu, Mahvash Sabet, Nelson Aguilera, and Azimjon Askarov. humanity. But they are our guild, so we remember and appreciate them. xacerbating factor. PEN has also taken up his case. Omar has written a number of letters from prison, and one of his poems has also been translated. Mohamed Al-Ajami was arrested in November 2011 after the YouTube publication of a poem of his that supported Arab uprisings and criticized regional governments. nslated by Kareem James Abu-Zeid. According to his lawyer, the poet has spent more than two years in solitary. Tal, a poet and blogger, first appeared before Syrian State Security Court in November 2010. She was sentenced to five years in prison by the State Security Court in Damascus in February for “revealing information to a foreign country.” The court session was closed, and Al-Mallouhi’s family were banned from attending, although the judge reportedly did not provide any evidence against her. 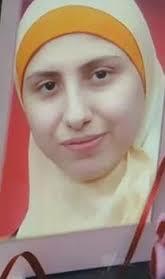 In October 2013, her name was included in a prisoner exchange agreement, but she was apparently taken from Douma prison to the State Security Department in Damascus. After that, nothing more has been reported about her. Playwright Zaki Cordillo was apparently arrested in August 2012 along with his son Mihyar, an actor. PEN suggests he was targeted for his writings about Syria. Cordillo has written more than eight plays, including Shade and Light, Captain Caracoz and Alma’ar and has also written dramatic works for children.in Syria. Poet Derar Soltan, whose work appeared on this site, is missing. open letter titled “As A Syrian Citizen I Announce,” in which, according to PEN, he “demanded that the Syrian President step down in order to prevent further bloodshed.” According to PEN, he was subjected to torture in detention and all his front teeth were broken. The 10-Minute Workout — Seriously!